As TFHS athletes continue to shine on the field, the off-field debate regarding their mascot intensifies. 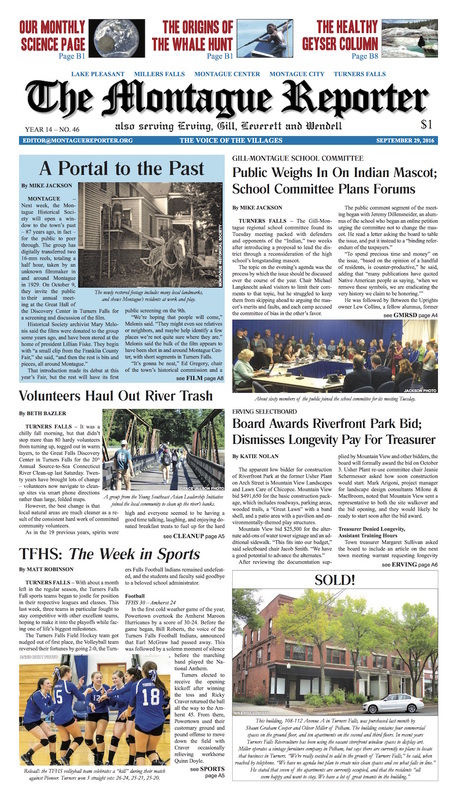 Full coverage of this week’s GMRSD school committee meeting, plus letters and a guest editorial, in this week’s issue. Also: Selectboard coverage from Erving, Wendell, and Montague (whose meeting clocked in at under seven minutes! ); your chance to view film footage of Montague from 1929; and brave volunteers bundle up and haul trash from the river. Wishing you were more current on science? NatureCulture has reading suggestions, plus a moon calendar, event listings, and a look at Samhain. And, our communities mourn the loss of a beloved educator, coach, and athlete. MoRe: Lost & Found Fashion Show recap! A Turners Falls postman calls it a career after 37 years. 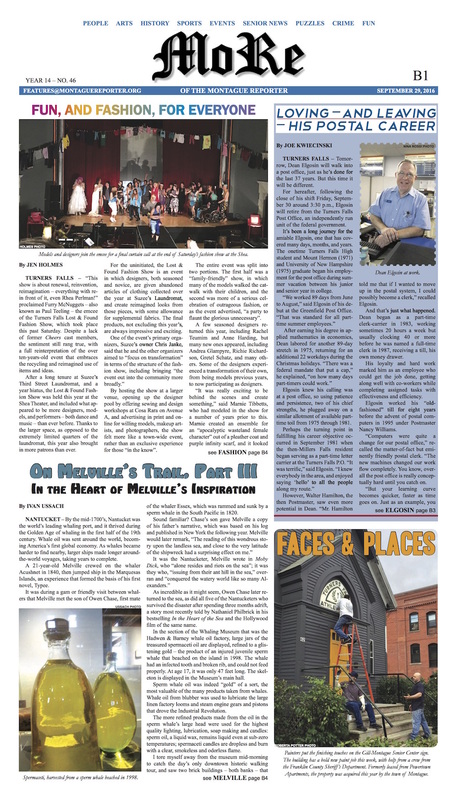 Part III of On Melville’s Trail. A fresh coat of paint for the Montague Senior Center. Our critic breaks down the MacGyver remake. What’s that wheeking sound? Must be Pet of the Week! Plus: Weird Healing, Healthy Geezer, MCTV listings, and more.